 PepsiCo is a worldwide brand recognized for its popular beverages such as Pepsi, Mountain Dew, Gatorade, Lipton Tea, Tropicana and snacks including Frito-Lay and Quaker Oats. 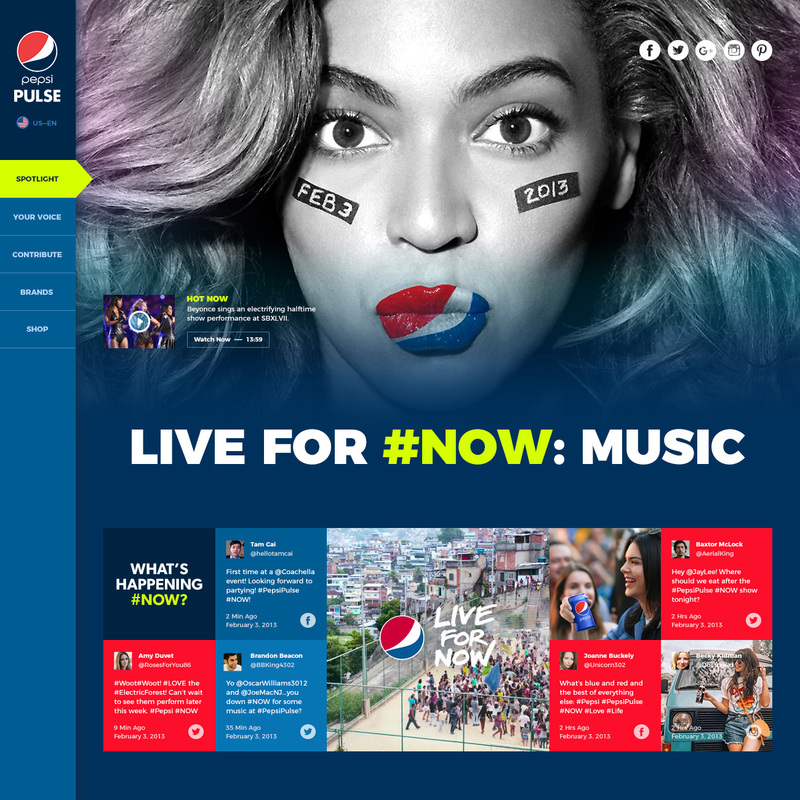 In 2013, Tidal Labs, a media agency for PepsiCo, hired me to redesign the Tumblr website for the 2013 Pepsi Pulse: LIVE FOR NOW — a global campaign for sharing current happenings at music and entertainment venues. 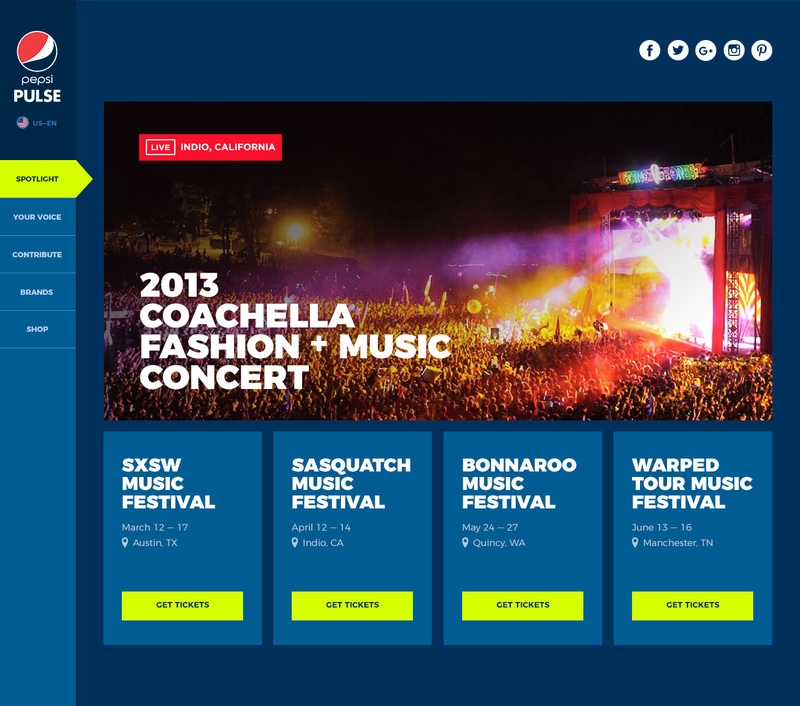 To infuse the Pepsi branding with the synergy of live music and entertainment venues from around the world. 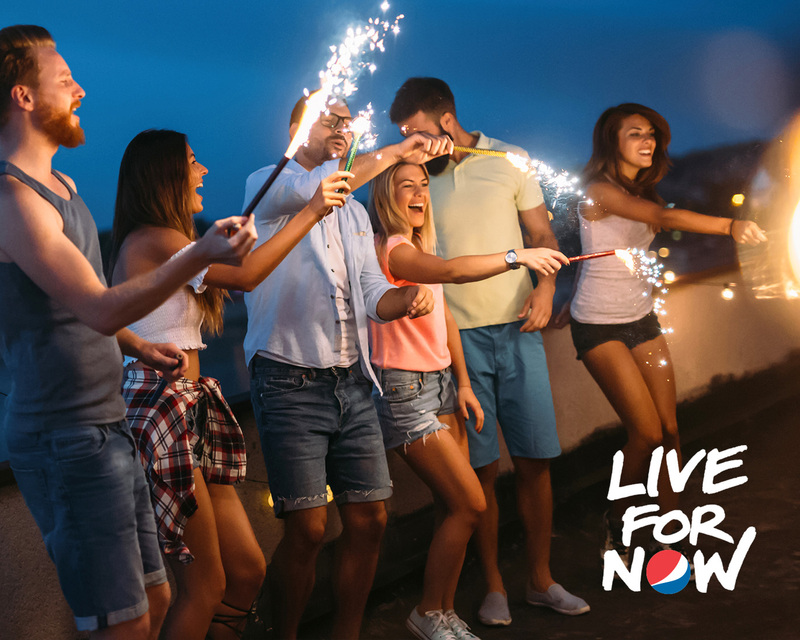 The target audience for the LIVE FOR NOW expression is simple — Pepsi fans from around the world. With the latest in technological developments in news and social media platforms such as Facebook, Twitter and Instagram, individuals and groups would share LIVE feeds or posts of the latest news, announcements and performances from music and entertainment venues. 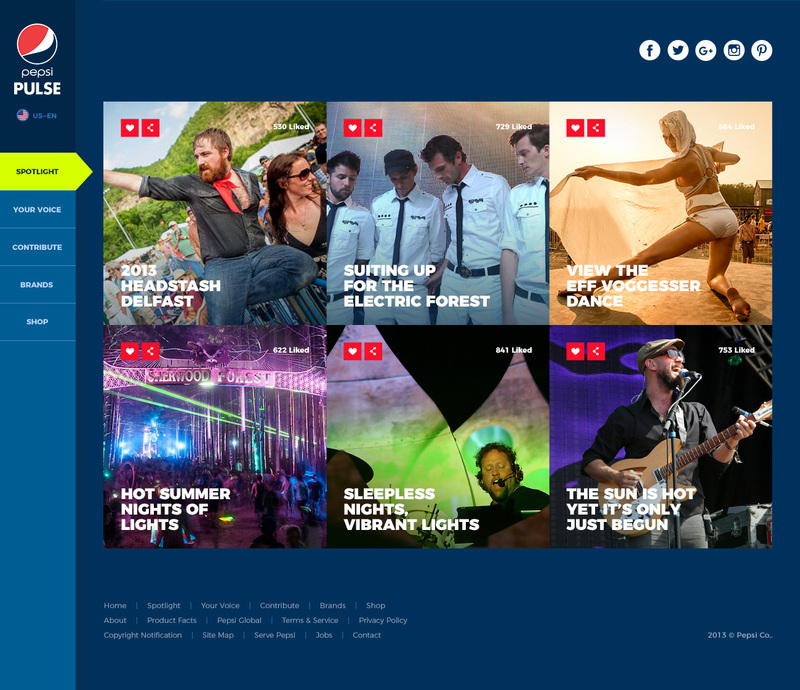 Following the Pepsi style guide, branding standardization and pre-approved photos from event photographers, I was able to apply them to the Tumblr website redesign for the 2013 Pepsi Pulse: LIVE FOR NOW — while also encompassing its iconic red and blue globe and relating branding cues. 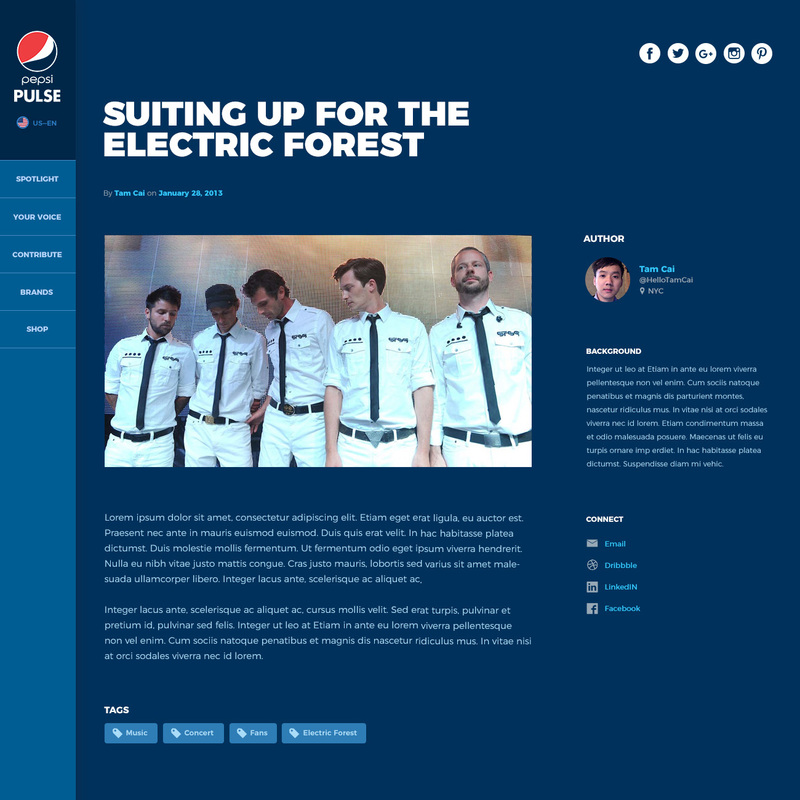 My core creative task was to absorb Pepsi's vision and branding and intertwine it with the culture and art of music and entertainment events from around the world.  The colors used for the website redesign the Pepsi Tumblr LIVE FOR NOW was based on the Pepsi branding colors but with a hint of accent color of electric yellow for a more synergetic look.